This weekend we spent the weekend in Liverpool on a little road trip. 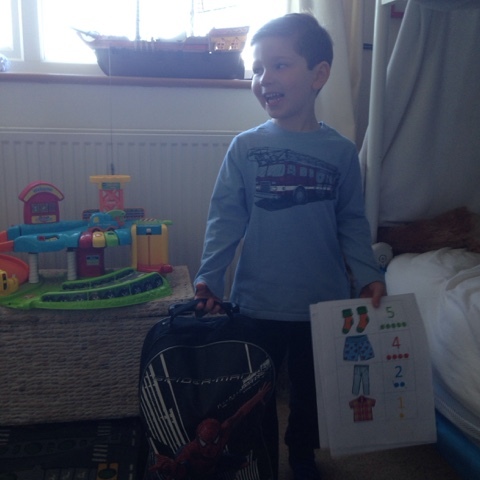 T gets incredibly excited when we stay in hotels and can't wait to pack his bag as soon as possible. 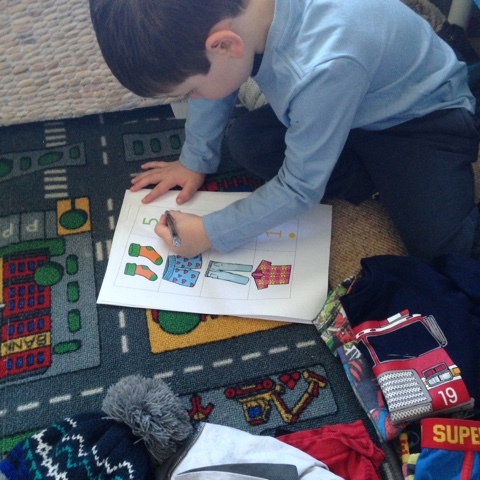 The begging to pack his bag for this started at least a week ago, so I thought I'd create a little list for him and really make it into a learning activity or game! 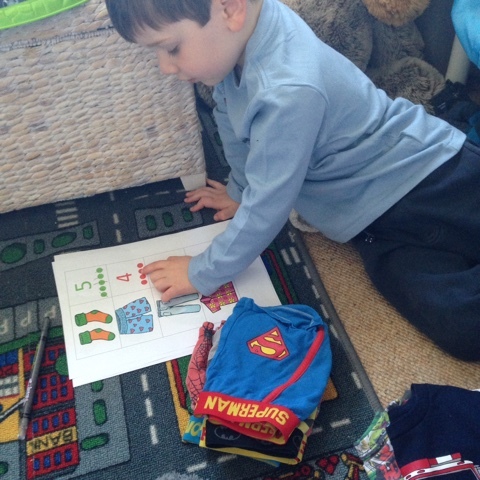 We are working on numbers with him at the moment so I added the relevant number of items with corresponding dots. I got out all of T's clothes for the trip and placed them on his bedroom floor. He then went through the list checking off everything that had been placed in his suitcase. We talked about the numbers as we went along, and looked around the room for other occurrences. Each time he found an item of clothing he ticked it off the checklist. When he was finished we placed the list back in his suitcase so he knew what too pack the other end! You don't have to be going on a trip to enjoy this activity, you could just pretend like T wanted to do for a week! If you'd like a copy of our lists to play this game yourselves you can download it here. 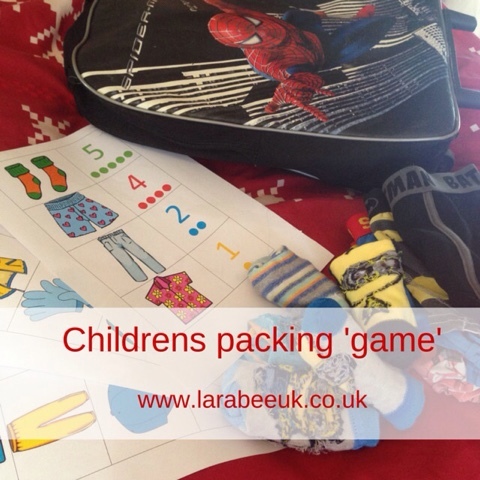 Good idea to get the involved in packing as it reduces the stress for all! Love this idea. We're always leaving stuff whereever we go!